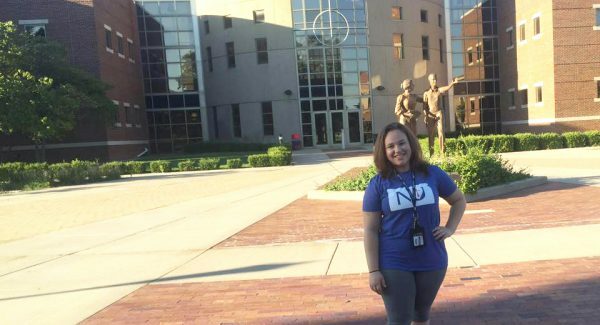 Martina Viale is a freshman student at Newman University. She is originally from a small town in Italy — Borgarello. She is attending Newman while being sponsored by Go Campus, an organization affiliated with Mondo Insieme that partners with countries from around the globe to give students the opportunity to study abroad. Viale has a big dream. But she knows there are many steps she must take before achieving her goal. She first contacted Go Campus in 2015, paid the application and testing fees, and received a scholarship to attend high school in the United States. 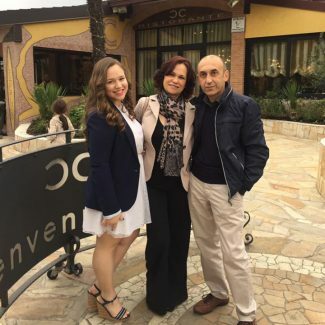 The organization found her a host family and she headed off to La Quinta, Calif. As a senior, she enjoyed choosing some of her own classes, which is something she wouldn’t have been allowed to do in Italy. But college wasn’t the immediate next step for Viale. She returned home to Italy to finish her high school certification there. Viale then contacted Go Campus once again to arrange for sponsorship to attend an American college. After applying, she was given 10 college scholarship options, all from different schools in different states. She narrowed her choices down to her top three, which included Newman, Post University in Waterbury, Conn., and the University of North Georgia in Dahlonega, Ga. Comparing scholarship amounts wasn’t her main concern when making her decision. She said she also looked at things like the university websites and their social media to gain an inside look at each of her choices. She noticed the Orientation Leaders page on the Newman website and decided to reach out to some of them via Facebook. As for her big dream, Viale said eventually she would like to open her own restaurant and only hire those who are homeless or individuals with disabilities. Currently, Viale is working to obtain a double major in business management and psychology with a minor in entrepreneurship. She said she would also love to work at Google after graduating college. Her experience at Newman so far has been a good one. Viale said she was most nervous about living independently in the residence halls and being able to speak English well enough. Viale said her restaurant will more than likely be in California — where she would like to live someday — and will serve authentic Italian food. Brava Martina!!! Um abraço, Liborio.